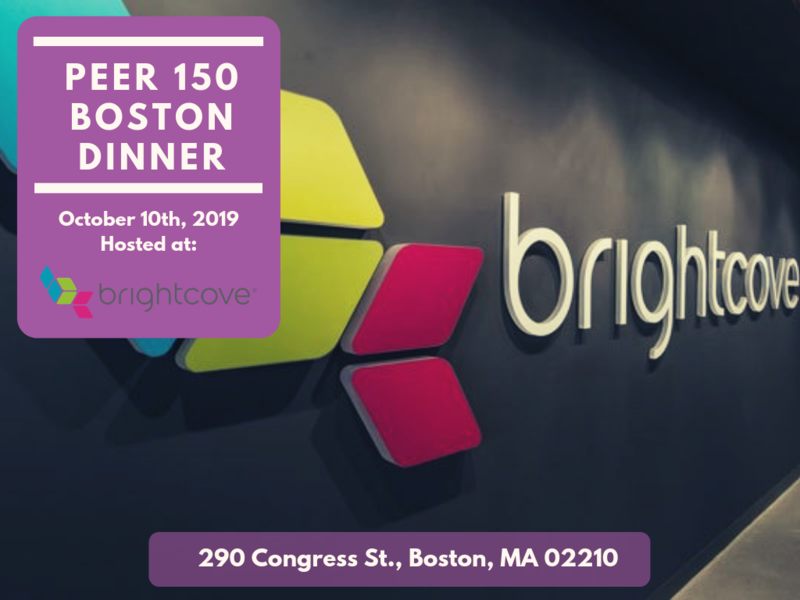 The Boston members of The PEER 150 are honored to host an evening of networking and content at Brightcove Headquarters. Attendance is open to senior human resources executives approved by our PEER 150 team. We look forward to seeing you on Thursday, October 10th! Brightcove is a pioneering force in the world of online video and has been since their founding in 2004. They continue to push the limits because they believe in video’s unmatched power to educate, inspire, entertain, and communicate.